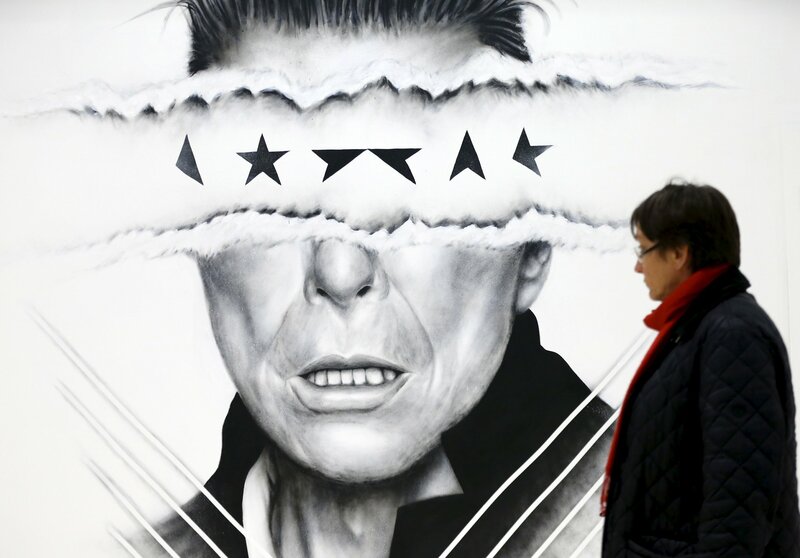 David Bowie was a pioneering force in music—everyone knows that. 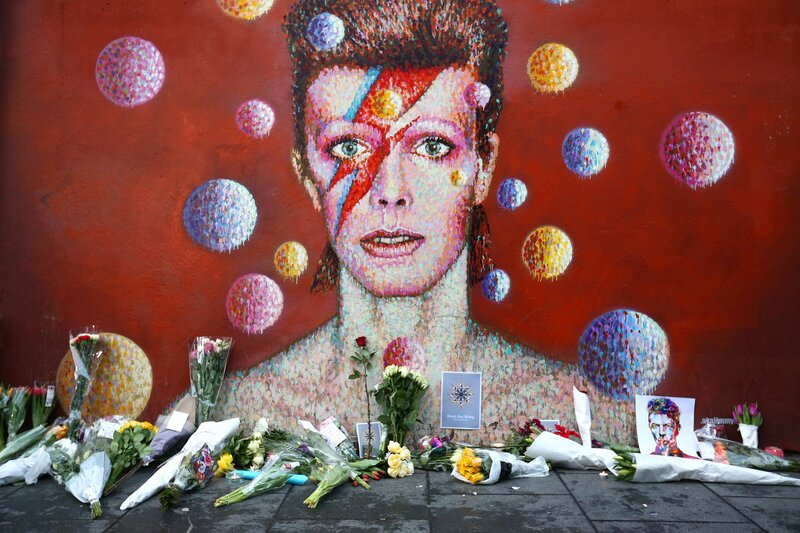 But Bowie, who died a year ago at 69, has been less celebrated as a pioneering force on the internet, a legacy that stretches back to the early dot-com era. In 1996, for instance, the rocker released the single "Telling Lies" on his website, making it the first known downloadable single by a popular artist. Two years later, in the fall of 1998, Bowie launched BowieNet, which was both an internet service provider and an exclusive fan club and message board. The cost was $19.95 a month (or $5.95 a month if you wanted to forgo the internet provider). This seems quaint now, but it was quite novel in the late '90s. "BowieNet—coming years ahead of Friendster, MySpace and YouTube, to say nothing of Twitter, Facebook or Instagram—showed prescience about the interactive, back-and-forth nature of fandom in the Internet era," Billboard noted in 2016. The best part? Bowie himself would occasionally log on, under the alias "Sailor." During fleeting visits to the fan forum, Bowie would sometimes share updates and recommendations or respond to fan queries. "Whenever he posted on the boards, he would be greeted with a chorus of 'HELLO, SAILOR!,'" one fan recalled. THE ARCADE FIRE' HAVE THE ALBUM OF THE YEAR. You must, simply must, buy it now, today, pronto. Quite the most beautiful, moving and passionate piece of brilliant song-writing and quirky performance I've heard in YONKS !!! It's called 'FUNERAL' (Merge Records) and nothing else (and yes, I've heard the new U2) comes close. OK, OK, . .. I'm doing my diary about them both and some others, a sort of year end round up. Sometimes Bowie would make unexpected entries into discussions of his music. 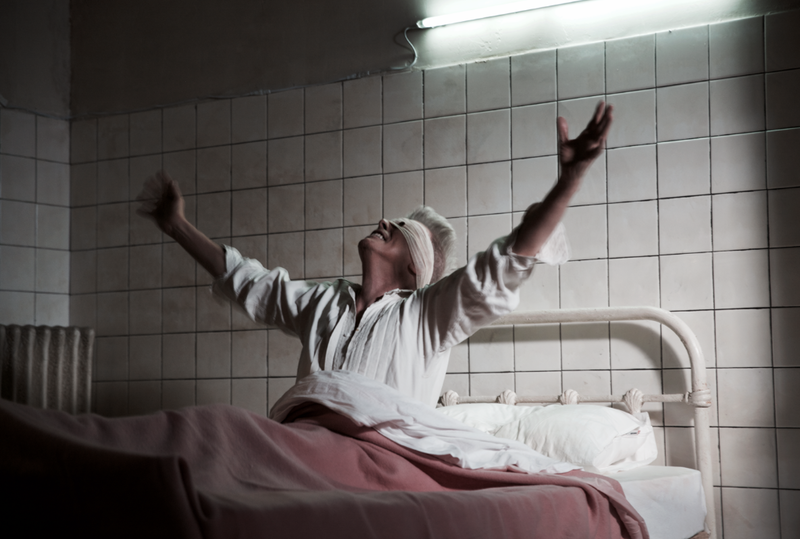 When a fan dared to comment that she preferred Marilyn Manson's cover of "Golden Years" to the original, Bowie responded: "Never!" When one user surveyed other fans to ask if they preferred Bowie's mix of the Stooges album Raw Power or Iggy Pop's remix, Bowie answered: "Easy. Bowie's mix." Unfortunately, this one's probably too good to be true. 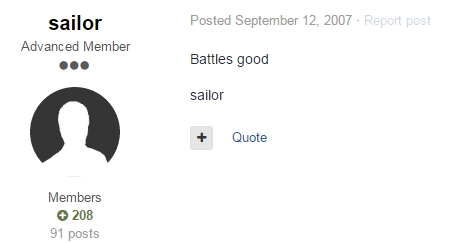 Bowie posted as Sailor only on his official forum, BowieNet. 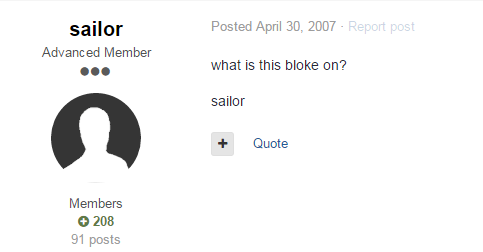 The screen shot appears to be from a different forum, Teenage Wildlife, where jokesters would sometimes pretend to be Sailor to mess with fans. Plus, the writing is not Bowie's style—his messages tended to be briefer, the humor more subtle and cheeky. David Bowie answers: That's a very personal question. Let's keep the bedroom out of this! Aren't you a catholic? This really is Halloween, isn't it? David Bowie answers: No, I only do cartwheels—and don't call me Dave! Reading these messages after Bowie's death offers a glimpse of the fondness he had for his fans and his willingness to spend a little time exploring their online world. It feels like a precursor to Twitter, where fans can interact with celebrities and rock stars in real time. The difference is that there are a lot more trolls on Twitter. Most famous stars just ignore their mentions, of course. But there are exceptions. David Crosby loves answering fan questions on Twitter. Lin-Manuel Miranda sometimes does the same. Cher's bizarre interactions with her followers are quite frankly the best thing on Twitter. 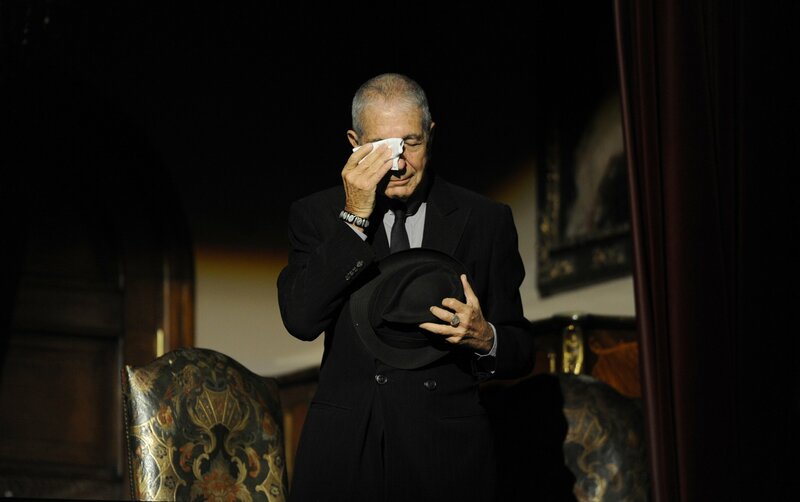 Bowie stopped posting on BowieNet in his final years, and, for whatever reason, he never took to social media. You can read Bowie's real BowieNet messages from 2006 and 2007 here. (You have to set up an account to see them, but it's free.) Sadly, the pre-2006 posts seem to have been lost forever amid the sands of time.